Q. Can I contact you on event days? A. No. We are always out setting up at the event location so cannot be contacted. All the information you need is in your pre-event email, which is sent a couple of days before or can be found here. Q. Will screenings be cancelled due to bad weather? A. No. We always go on regardless of the weather. Any amendments to the event will be communicated to ticket purchasers by email, text or via our website. Q. If the weather is bad, can I exchange my tickets for another screening? A. No. Ticket exchanges may only be available no later than 14 days prior to the event booked. Q. How and when will I receive my tickets? A. Tickets are e-mailed to you as soon as you book via our website from our ticket agent. Q. Do I need to print my tickets? A. No, we can scan the e-ticket from your smartphone. Q. What if I forget my tickets? A. Please try and remember them as tickets are required to gain entry to the screening for all adults and children. If you do forget we will have a list of all bookings and will be able to admit you but this obviously will take a bit more time. Please bring ID. Q. Can I buy tickets at the venue? A. As we have a limited number of tickets available then we are afraid that when a screening is ‘Sold Out’ then no tickets can be bought at the venue. If the screening has not ‘Sold Out’ by the screening date then we will sell remaining tickets at the venue – please refer to the screening details. Q. How will we hear sound at the Drive In? A. You must ensure that your car radio is in good working order as for our usual Drive-In venue at Barleylands, Billericay we hold a radio transmission licence. This licence allows us to broadcast through 87.7 FM. For other Drive-In locations this may not necessarily be the case and sound may be transmitted through speakers or headphones – refer to screening details for more information. Q. 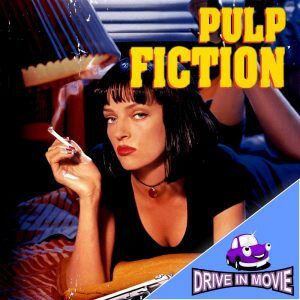 Are we allowed to sit outside our vehicle at a Drive In Movie event? A. We do not recommend this due to safety reasons. Q. Are parking positions allocated at the Drive-In’s in advance? A. No, positions are normally given on a first come first served basis, with the odd exceptions. Exceptions will also apply to large vehicles that may be parked further back due to viewing problems for other vehicles. Q. Are we allowed to keep our vehicle’s engine running during the event? A. We are happy for you to run your vehicle intermittently throughout the event as long as you do not have Daytime Running Lights. Q. What if I have automatic or Daytime Running Lights on my vehicle? A. You must be able to turn these off, so that they do not have an effect on other attendees’ viewing or cast a shadow over the screen. If you are unable to turn them off then please bring a method of covering them (front and back). A. Yes, children are very welcome as long as they are the correct age for the film’s certification. It is always advisable to bring photo I.D. to be on the safe side. Free admission for 2’s and under. Under 16’s will not be admitted unless they are accompanied by an adult. A. As long as your dog is not going to bark throughout the event and you are happy to keep your dog in your car then we do not have a problem with you bringing them with you. Q. Are there toilet facilities? A. If the venue doesn’t have toilets then we will provide mobile facilities at the screening. At our usual Drive-in venue at Barleylands there are toilets open throughout the entire event. Q. What time does the screening start? A. Please see the relevant event page for details. This may vary slightly due to sunset times. Q. Do you serve food and drink? A. We always have refreshments available at our screenings. We may serve alcohol but this is dependent on the venue. We may also have hot food available but please refer to the screening details for full information. This is subject to change depending on the venue we are screening at. Please take all of your rubbish home with you. Q. Can I bring my own food and drink? A. We are always happy for you to bring your own food and drink to our Drive-in’s although food and drink is always available to purchase. Please remember to take your rubbish home with you. A. For Drive-In’s this isn’t usually a problem as long as it is not affecting other attendees. Q. Is there an intermission? A. No, there is no intermission as we don’t like to stop your enjoyment of the screening. Feel free to continue purchasing food or drink throughout the screening but please be considerate to other audience members. Q. Is there anything else I need to bring? A. We suggest you bring pillows and blankets to keep warm and cozy in your vehicle, especially in the colder months. Q. Do you give refunds? Q. Can we exchange our tickets? A. We may allow you to exchange your tickets but no later than 14 days prior to the event that you have booked for. This is at the discretion of the management. Q. Do you do group bookings and discounts? A. Give us a ring 0845 838 0686. Q. Can I hire Moonbeamers Popup Cinema for a private event? Q. Are there any reasons the film would not be shown? A. It is highly unlikely that any issues will occur, however, there are a few situations that are beyond our control. Film companies are at liberty to withdraw films and/or licences at short notice or postpone release dates. If this occurs we will screen a suitable alternative or will offer you the choice to view one of our other screenings. 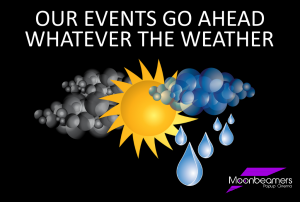 If for any reason Moonbeamers Limited decide that the event would cause danger or any safety issue to staff, attendees or any other person then we are at liberty to reschedule it.